Derby Arts and Theatre Association (DATA) has given a cautious welcome to Derby City Council's recently announced proposals to reopen the Assembly Rooms which have been closed since a fire in March 2014. The Council's Cabinet approved a report on 12th December 2018 which recommended refurbishing the Assembly Rooms and reopening the building by Autumn 2020. "Although we would have preferred to have a brand new theatre and concert hall built, we are pleased now to see firm proposals to not only repair but also enhance the Assembly Rooms. As part of the consultation process, DATA made several practical suggestions for improving the facilities and audience experience, based on our members' experience of putting on shows and concerts at the venue. We are glad to see that many of our suggestions have been taken on board. Of course, the devil will be in the detail and we look forward to futher input into the development of the project. We are especially keen that the operating arrangements and hire charges provide an incentive to amateur theatre and concert groups to use the newly refurbished venue." We have been made aware that the European Union (EU) is proposing, in its Eco-design Working Plan 2016-2019, to change the rules that govern the light	sources used in theatrical productions. In effect, they want to bring the vast majority of quality theatre lights under the same rules that govern	domestic and office and industrial lighting. These new regulations are intended to start from 1 September 2020 and if implemented as originally written, would dramatically impact all areas of entertainment lighting and	all who work in this field – lighting creators, lighting users and lighting manufacturers. The impact on theatrical production across Europe will be	immediate, and overwhelming, and will affect venues used by amateurs. New regulations proposed for September 2020 will impose a minimum efficiency of 85 lumens per watt and a maximum standby power of 0.5W on all light sources (lamps or self-contained fixtures) to be sold in the EU. The existing version of these regulations includes an exemption for stage lighting. The new regulations do not (though they do include exemptions for video projection, and suggest an exemption for stage lighting that appears to have mis-understood the light levels/power requirements of most theatrical lighting fixtures). No tungsten fixtures meet this requirement. 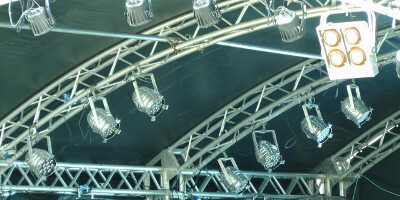 Many LED-based entertainment fixtures do not meet those requirements. After September 2020 no new stocks of such equipment can be supplied to the market in the EU. Manufacturers suggest that the limits of optical design and LED efficiency mean that they will not be able to create certain types of fixtures that do meet the requirements by September 2020. Nothing in the rules stops you from using existing fixtures. But bulbs can’t be supplied to market and once you can’t get new bulbs, existing fixtures become worthless - effectively scrap. It is unknown how long existing stocks of bulbs will remain available. Replacing your existing fixtures might well mean replacing your entire dimming and control infrastructure. All this for power savings that might be relatively small, given the way entertainment lighting is typically used, and will likely be far outweighed by the scrap created and the energy required to manufacture and distribute new fixtures. Important tools from a lighting designer’s toolkit will be lost within the EU, some forever. This will dramatically affect performance venues and productions of all types and scales, including new and existing (long-running, long-standing rep) productions. There are very few precedents for technologies to be banned if they are not unsafe to use. We understand that, as a result of discussions between the industry and the EU DG Energy Department, a new draft of the regulations, including an exemption for the entertainment industry, has been prepared. On behalf of DATA, I have written to all of the East Midlands MEPs seeking their support to ensure that the new regulations, when they come before the European Parliament, contain the necessary safeguards for theatres and concert halls. In the demonstration of our new website at the AGM on 9th July 2018, we highlighted our intention to use social media to publicise the events of DATA member societies. 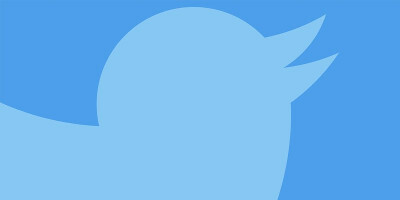 On 15th September 2018, we enabled automatic Tweets of upcoming events. Events in the DATA Diary are now Tweeted via the DATA Twitter account, with increasing frequency as the approach. 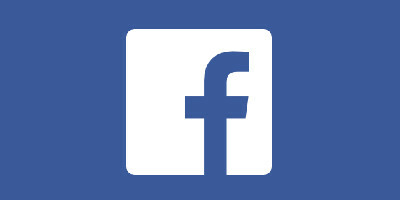 Next, we plan to implement an email marketing service before also enabling automatic posts to Facebook about DATA Diary events. We hope that this will enhance the effectiveness of the DATA Diary in publicising events presented by our member societies. Firstly, a building survey will identify the essential repairs required to re-open the building. It will also scope desirable improvements. Secondly, an architect led feasibility study involving a multi-disciplinary team of professionals and experts will determine the scope of work, the programme of works, the timeline and the cost. The study will consider how the user experience of the Assembly Rooms can be enhanced and how regeneration benefits can be captured. This work is expected to be carried out between July and October 2018 by a team of multi-disciplinary consultants. The outcome from this work will inform a Council decision in early autumn 2018 on how the project progresses. Nine representatives of DATA attended the consultation meeting on 16th August and gave the views of the amateur sector (based on our previously submitted wish list) on what is needed to make the Assembly Rooms refurbishment scheme a success. These views will be put with other feedback from consultations with various stakeholders. The new version of the DATA website is live that was demonstrated at the DATA AGM on 9th July 2018. A video of that demonstration is also available on the DATA YouTube Channel. The new website provides a self-service capability to representatives of DATA member societies. Member society representatives are able to directly maintain the information held in the DATA Diary about their member society and the events that it presents. In order to do so representatives of member societies must register a user account. You are encouraged to do so as the new DATA website also has a greatly enhanced capability to promote member society events online, via email marketing and social media channels. The DATA Diary started as a means of sharing events for listing in member society programmes and this remains an obligation of membership under The Diary Scheme. We are no longer distributing tabular listings of events for inclusion in programmes via email as the new website also provides the facility for site visitors to do this themselves on our events page. 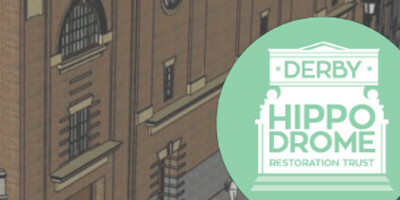 The DATA Committee had been trying for nearly two years to get the Derby City Council to undertake meaningful consultation with the amateur theatre and music community, through our Association, over major arts developments in the city including the future of the Assembly Rooms site. 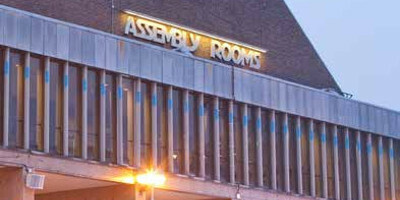 The Assembly Rooms, on the Market Place, Derby, has been closed since a fire in the adjacent car park in March 2014. One of our committee members, Tom Banks, asked a question on this at a Council meeting and was given an assurance by the Deputy Leader - Councillor Rawson - that we would be consulted over the design of a proposed entertainment venue on the Assembly Rooms site. When the Council announced, in October 2017, that it had chosen to develop a multi-purpose Music and Performance Venue, aimed mainly at large rock concerts and comedy gigs, DATA mounted a strong, public campaign to try to persuade the Council to replace the Assembly Rooms with a lyric theatre and concert hall, based on the arguments set out in this letter. We succeeded in getting the Council to carry out a proper public consultation exercise, asking for the public to express their views on four possible options - the Music and Performance Venue, a Lyric Theatre, a Hybrid Option (incorporating a flexible design capable of operating as a lyric theatre or music/entertainment venue), and Refurbishment of the Assembly Rooms. The Council announced in January 2018 that, having taken into account the results of the public consultation, they had opted for the originally proposed Music	and Performance Venue. 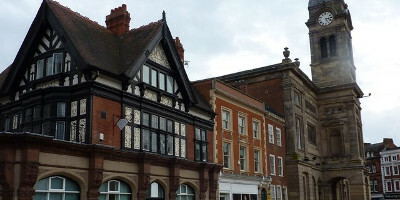 At the same time, the Council announced that it was committing itself to retaining the Derby Guildhall, the future of which had been in some doubt. 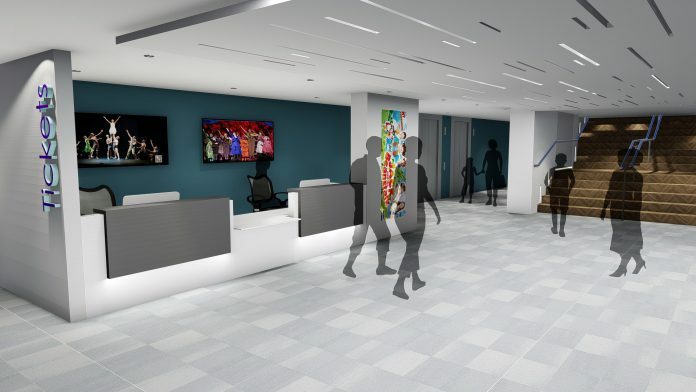 Although it wasn't ultimately successful, our campaign did result in DATA's profile being raised considerably, and we have received an assurance that DATA will be involved as a key partner in the design and operation of the new venue. Our Chair - Steve Dunning - is having regular meetings with the Derby City Council project team to make sure this assurance is adhered to. In addition, DATA has formed a panel of amateur experts who will provide	informed input into the process. A flexible hybrid model incorporating a Lyric-style 1600 theatre and secondary space for 400 seats costing about £48 million. Option 2. would have produced a facility for top-rate touring shows plus concerts. Well guess what? The Council have gone for the cheaper option 1, calling it a Music and Performance Venue, with no fly tower or other theatre provision and no proper provision for orchestral or choral concerts. See this link Music and Performance Venue option goes for Cabinet decision | Derby City Council Newsroom. The DATA Committee have been trying for nearly two years to get the Council to undertake meaningful consultation with the amateur theatre and music community, through our Association, over major arts developments in the city including the future of the Assembly Rooms site. Indeed, one of our committee members, Tom Banks, asked a question on this at the last Council and was given an assurance by the Deputy Leader - Councillor Rawson - that we would be consulted over the design of the new facility. Tom has emailed Councillor Rawson twice to ask when this consultation will take place and has not received the courtesy of an acknowledgment let alone a reply. And the first our Chair - Steve Dunning - heard about the proposed decision was when he was contacted by a BBC Radio Derby reporter! DATA has now submitted this letter setting out our objections to the preferred option, and asking the Council to abandon proposal and undertake further work on a Hybrid Venue incorporating a 1500 seat Lyric-style theatre and concert hall. We're planning a peaceful mass demonstration outside the Council House from 5.15pm this Wednesday 4 October, prior to the start of the meeting. We're calling on the whole amateur theatre and music community in Derby - and indeed anyone who feels strongly about the new performance venue - to attend this demonstration. It is vitally important that we get as many people as possible at this demonstration to show the Council the strength of feeling on this issue. If we don't, this proposal could go through on the nod and then we're stuck with it! Remember, the Council don't have to take any notice of our letter if they don't want to. But if we get 100+ people out side the Council House, with good media coverage, then they will have to take notice. So please please, please get the message round urgently. People need only come for 45 minutes until 6.00pm - at that point, those who can stay will go into the public gallery to watch the debate.